Have your little one dancing away on their tip toes with our enchanting Ballerina professional kids party entertainer! Our Ballerina Children’s themed party entertainment will have a maximum of 30 kids twirling and whirling for a 1, 2 or 3 hour party! 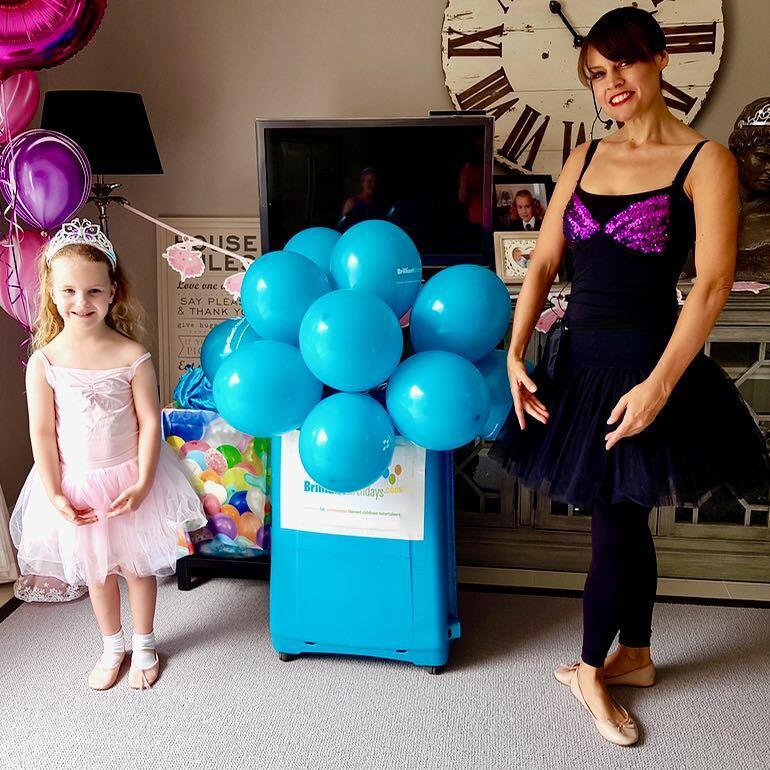 You’ll be leaping, pirouetting and dancing for joy with a wonderful range of activities depending on how long you book your Ballerina Kids Party Entertainer for! 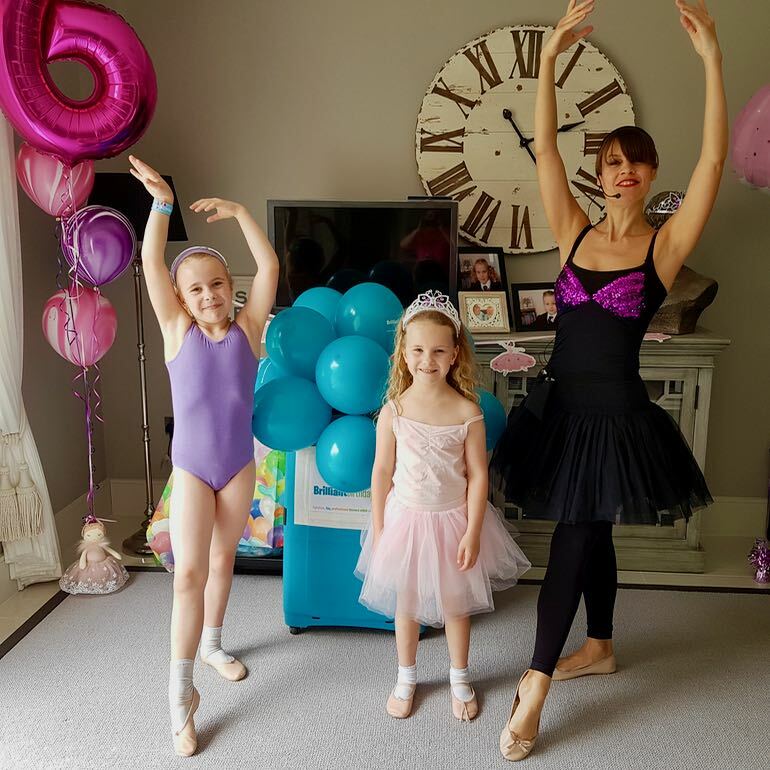 Your Ballet Mistress will be the perfect host and will prepare a Ballet Performance for all the mums and dads to watch at the end of the party. All our Ballet Dancers are experienced Teachers and Performers who really know how to bring the best out of your little ones. We specialise in shy and energetic children ensuring the group have the best Brilliant Birthdays experience possible. We are on hand from the first contact to the after party feedback request to make sure that every step of the way you are kept informed. We even get your Ballerina to call you in advance of the party to discuss all the details, so we make sure that we get every detail just right. Your child’s party will be sure to have a fabulous “turn-out” with our beautiful Ballerina Children’s themed party entertainment! 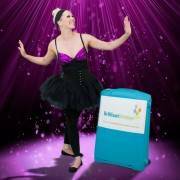 So hang up your dancing shoes for a stress free party with our Children’s Entertainers London, while your little twinkle toes puts theirs on. 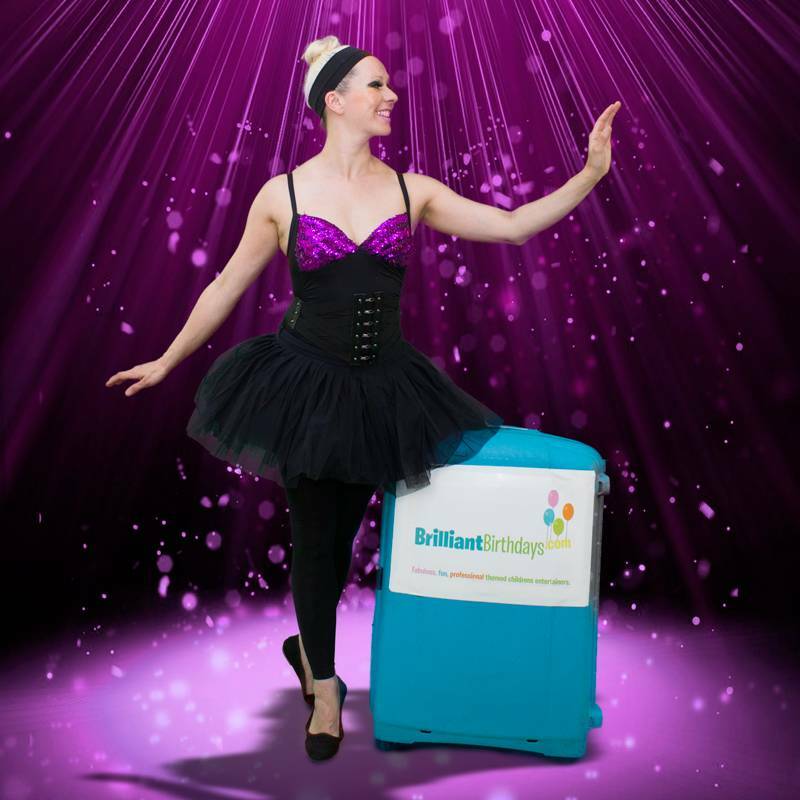 If your wonderful Ballerina Kids Party Entertainer will be travelling to your party within the M25, we are happy to say there will be absolutely no travel charge, if your magical Ballerina Children’s themed party entertainment will be taking place outside the M25, there will be a travel charge of only 40p per mile from and back to the M25! So pop on your tutu and leap in amazement at your Ballerina Children’s themed party entertainment, with the best kids party entertainers around! Laura was brilliant. The kids had the best party ever ! My daughter’s Brilliant Birthday Ballerina party was fantastic. We couldn’t have asked for a better experience for her and her friends. Gemma was professional, prompt and hugely entertaining, effortlesly entertaining 20 four year olds. Organising and booking the party was very easy and Claire was extremely helpful and informative with the finer details of the party. She responded very quickly to my queries and my experience of the company from start to finish was seamless. Thank you! Thanks again for Ballerina Party over the weekend, you really made the occasion memorable for all. The kids just loved the magical dancing games and all the excitement our entertainer Sarah brought up! A very professional service from start to finish! I will be recommending you onto my friends, so I hope to see you again in the future. Many Thanks! Our granddaughter and her friends had a great time at the Ballet Party. I would definitely recommend Brilliant Birthdays! Many Thanks! Thank you for Brilliant Birthdays Team. Ballerina was just wonderful ! We will recommend to all family and friends! 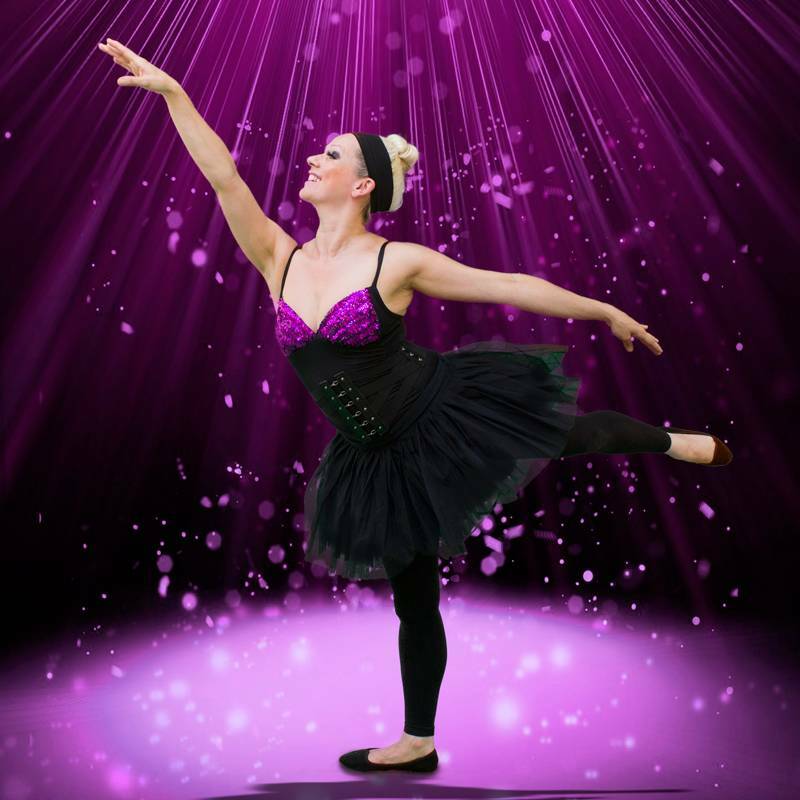 Excellent Beautiful Ballerina Entertainer! I can give 5 Stars for a wonderful Party. Well thought out and the kids were just captivated from beginning to end. 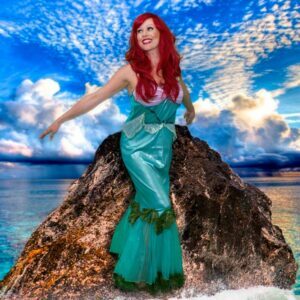 Thank You Brilliant Birthdays for a magical party, I will be sure to be in touch next year for another theme! Excellent! All children aged 4- 11 had a fantastic time at the Ballerina Party . Would definitely recommend Brilliant Birthdays! Thank you very much! 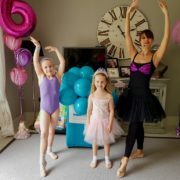 Wonderful Ballerina Party! Lovely entertainer! Brilliant service! Thank You! Brilliant Ballerina came to our house! She was fun, lovely, professional and polite! All the best Brilliant Birthdays! Keep it brilliant! You are THE BEST! Brilliant Birthdays is professional and flexible company that’s all I can say! Ballerina was absolutely amazing and worked extremely hard in very hot weather conditions. We would definitely work with Brilliant Birthdays again! Many Thanks! Thank you for wonderful party last Sunday! Children had Ballerina themed party and entertainer was absolutely brilliant! THANK YOU! 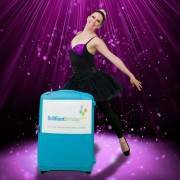 Just wanted to say that we had Ballerina from Brilliant Birthdays entertaining at our little girls party with about 25 kids of mixed ages , they all had an amazing time playing games and dancing. She managed to get kids total attention for the duration of the party which was 2 hours. I had to write this review to say that i highly recommend Brilliant Birthdays if you are looking to hire an entertainer for your little one. Once again on behalf of our family , thanks for a wonderful job well done , keep up the good work . Our stunning Ballerina made the party memorable! 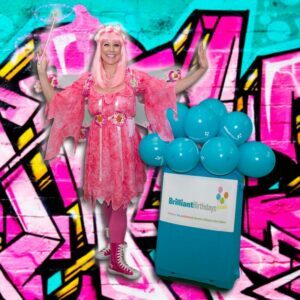 Thank you Brilliant Birthdays for sending a such a professional children entertainer! All the children had a great time! My daughter had the best party ever with ballerina.. She was an amazing entertainer. She arrived early, away before children so everything went very smooth. She was very organised and the games were appropriate to the age range. Thank you very much for sending her over! My 5 year old had an amazing party thanks to the great entertainment provided by Brilliant Birthdays team. Ballerina was amazing !! she engaged with all the children as soon as she arrived . Thank you so much for making our special moments even more special! Thanks again for the wonderful job you did at our daughter’s party. She had a fantastic time. All the kids were really engaged for the whole 2 hours! We were all really impressed with how the kids took to the entertainer. Lots of parents had nice things to say about how impressed they were too! It was indeed a proper Brilliant Party! I had a Ballerina party for my daughter 5th birthday. The entertainer was great. She did an amazing job. I will definitely recommend Brilliant Birthdays to family and friends! Very Well Done! Thank you so much Brilliant Birthdays!! 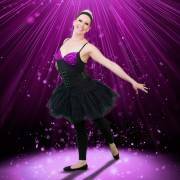 Me and my husband thought our Ballerina entertainer did such a great job with 26 VERY energetic children. They had fun throughout. Would definitely book next year!